Since its founding in 1919, Garver’s priority has been to deliver the communities in which it operates the most innovative and efficient infrastructure solutions. The key to fulfilling that mission is the sharing of ideas with elected officials on how to advance infrastructure even further. 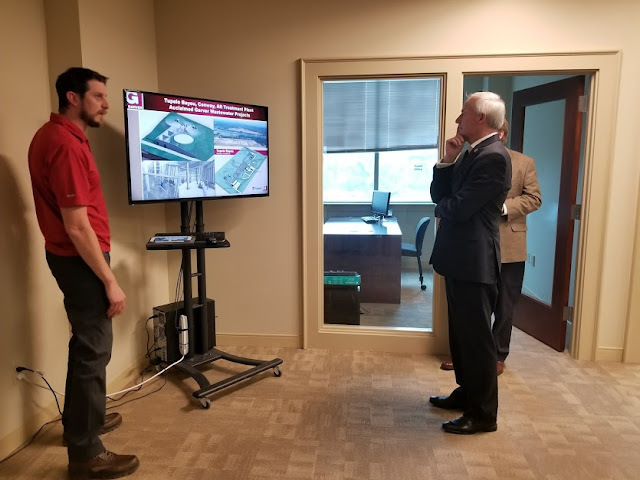 Garver appreciates the visit made by Arkansas Gov. 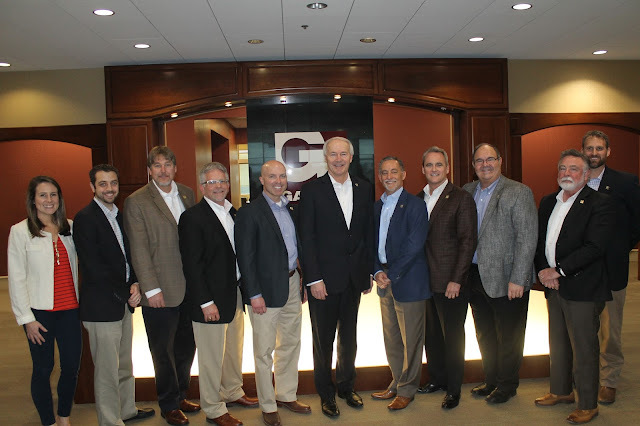 Asa Hutchinson, who toured our Fayetteville office recently while learning about our continued improvement of Arkansas through aviation, transportation, water, and other projects. Roughly half of our nearly 500 employees live and work in Arkansas, so our dedication to providing communities with sound work is of utmost importance and is backed by decades of positive results.